Clock and watch related t-shirts, hats, post cards, posters, stamps, etc. 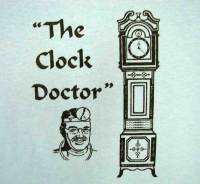 Clock & watch related posters, stamp sets, etc. Description: 8” tall stretch acrylic knit embroidered beanie with white trim. One size fits most. Black with white lettering. Description: 8” tall stretch acrylic knit embroidered beanie with white trim. One size fits most. Navy with white lettering. Description: Real plastic 3/4" buttons. 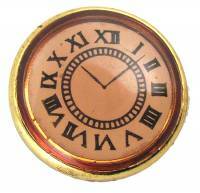 Gold bezel, beige dial & black Roman numerals. Description: Create your own jewelry. Great for bracelets & necklaces. Novel assorted bronzed metal charms. 8 different styles. 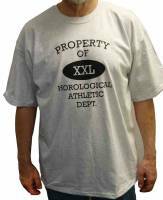 Size varies from 1116" to 1-11/16" diameter. Small items-keep out of reach of children. China. Description: Create your own jewelry. Great for bracelets & necklaces. Novel assorted bronze & silver metal charms. 11 different styles. Size varies from 5/16" to 1-1/8" diameter. Small items-keep out of reach of children. China. Description: Hat is unstructured cotton and fully adjustable. Designs on hat is needle-stitched. Black hat with white stitching. 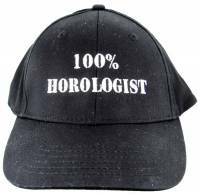 Combine with other hats for quantity discount. 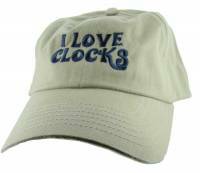 Description: Hat is unstructured cotton and fully adjustable. Designs on hat is needle-stitched. Red hat with black stitching. 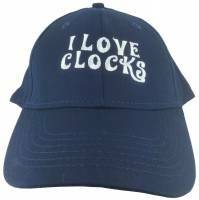 Combine with other hats for quantity discount. 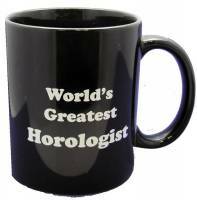 Description: Worlds Greatest Horologist coffee mug. White lettering on black background. Combine with No. 32161 & No. #32161 & #32162 for quantity discount. Description: Hat is unstructured cotton and fully adjustable. Designs on hat is needle-stitched. 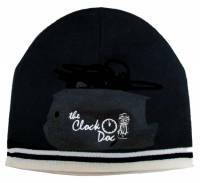 Black hat with white stitching. Description: Hat is unstructured cotton and fully adjustable. Designs on hat is needle-stitched. Navy hat with white stitching. 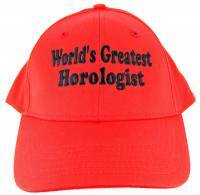 Description: Hat is unstructured cotton and fully adjustable. Designs on hat is needle-stitched. Khaki hat with blue stitching. Description: Colorful stamps are in limited supply. Original 1920s poster advertising stamps are 2" x 2". Mint and unused. Sold in sets of 3 pieces. No choice of subject. 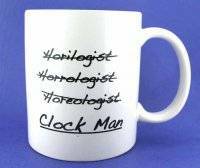 Description: Clock Man coffee mug. 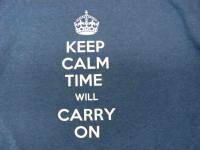 Black lettering on white background. Combine with #32161 & #32195 mug for quantity discount. Description: 16" x 20" full color Rolex print by David Penney is signed in pencil by the artist. Limited supply.